Give golfers the opportunity to experience and explore your world through beautiful, cinematic videos that capture the essence of your facilities for your website and social media platforms. Interactive course tours are the future of online Golf media. 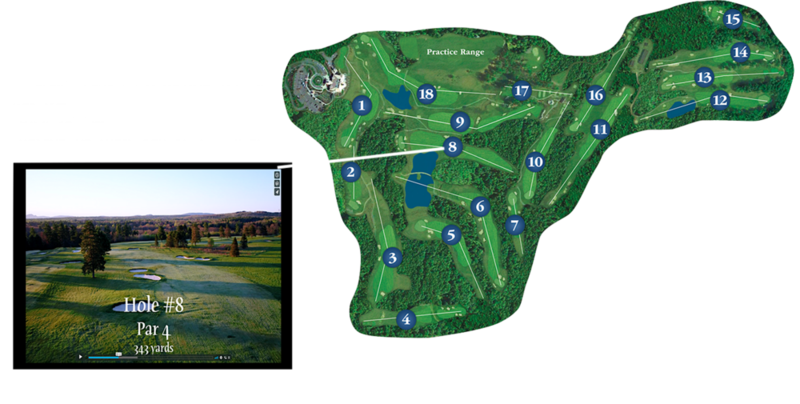 We utilize drone technology and high-quality digital cameras to capture your course from a modern perspective. We also accurately measure your distance markers and lay them on top of the video. The bird's-eye view, accurate distance markers, and spectacular video quality improve your golfer's ability to strategically manage their play. These videos also increase your websites' traffic and search engine optimization - leading to more tee times filled, improved member retention and an increased social media presence.